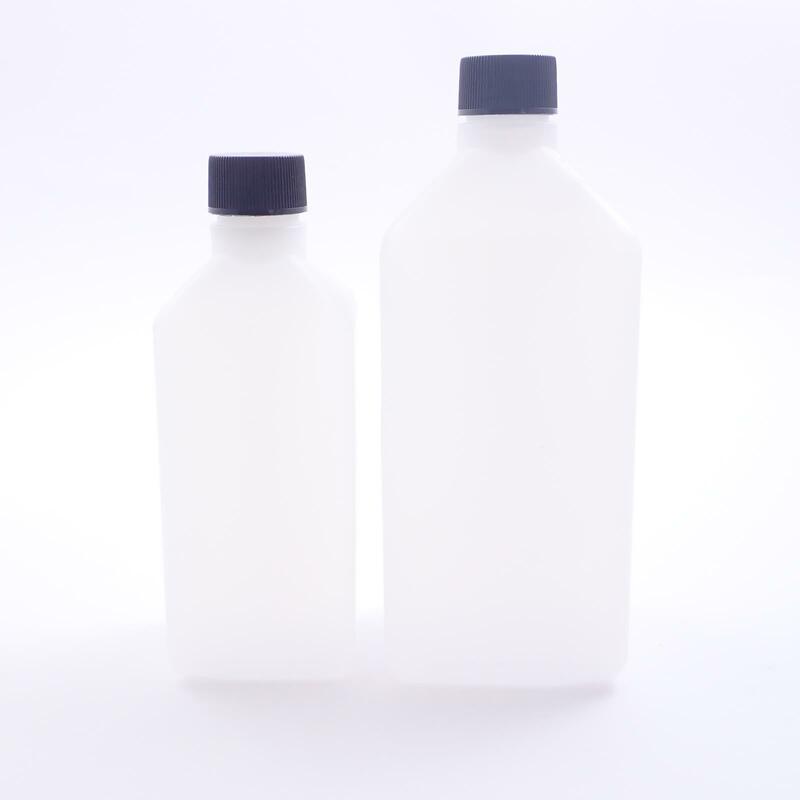 High Density Polythene square bottles with black Polypropylene caps. Optional LDPE plug inserts are avilable if the bottle is going to spend a long time on it's side or upside down (for example during transport). But are not required for normal usage.